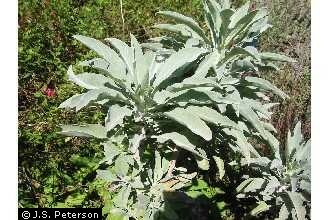 A native to southeastern California deserts, Salvia apiana or white sage, is an aromatic, edible, and medicinal plant used by native peoples for centuries. It is in the mint family of plants, a desert salvia. that is easily recognizable by its distinct and purifying aroma. White sage tea has been used for its' ability to cleanse infections both internally and topically, cleanse unwanted thoughts and feelings as smoke/smudges, as a tea to decrease secretions of the respiratory and digestive tract, and the seeds were a reliable food source every autumn. 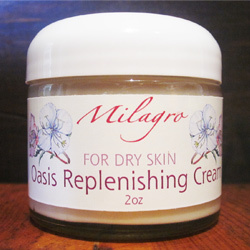 At Milagro Herbs we have recently made a dry plant tincture/extract for clearing bacterial infections and also have distilled the beautiful white leaves into a hydrosol and essential oil! As a special one-time product we are offering the following: one dram essential oil bottles for $24.99 (regular price $26.99); one ounce hydrosol for $6.99 (regular $7.50) and two ounce hydrosol for $9.99 (regular $12.50). As many of you know, essential oils and hydrosols are precious items,taking many hours of plant harvesting and then distillation to render small amounts of concentrated essence. These items make great gifts for the lover of natural and unique plant products! 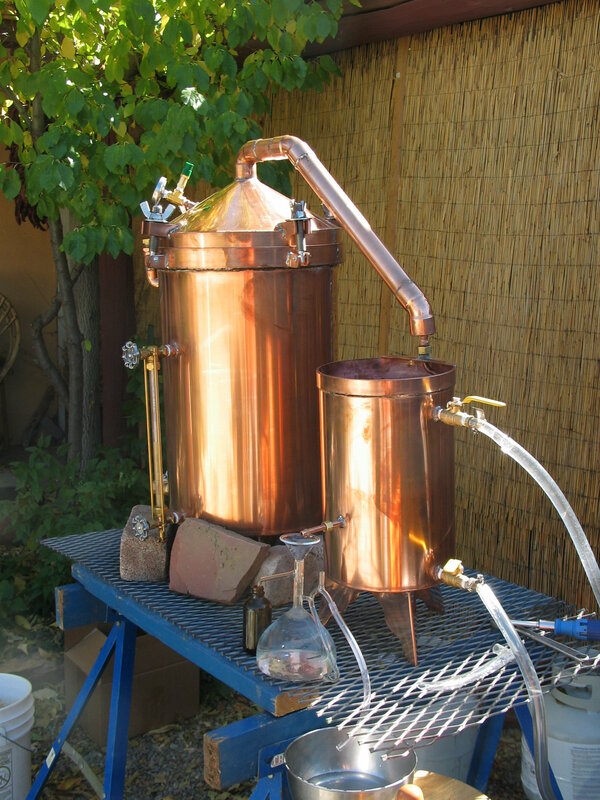 We produce essential oils and hydrosols with a 15 gallon copper still using propane as a heat source. To date we have worked with pinon pine, juniper leaf, desert sagebrush, rosemary leaf, and California white sage. Milagro School of Herbal Medicine is about to graduate another class of earth herbalists on November 15th. We know they will make a major contribution to our communities' health and wellness. Congratulations to all graduates! Herbal Certification Course Starts April 17, 2017. We are re-designing our upcoming Foundations of Herbal Medicine Program to include ongoing intensives and laboratory studies in medicine making, therapeutics, diagnostics, field botany, and more. Contact us for more information and applications. While walking along moist but dry stream beds in northern New Mexico I think of all the herbalists that came before me. It may be the change of the season and the movement of the Sun but many of these beautiful plants have been talked to and touched so many times before. Our herbal medicine tradition in New Mexico is rich and has spanned over a 10,000 year period beginning with the earliest of settlers that lived as hunters and gatherers. A common question by all who are curious is, How did people originally know what plants to use as food and medicine? Can we remember what it is to be an animal? Just as other species have learned to survive from plants over millennia so have humans. Using our most sensitive senses we came to understand what could help us and what could hurt us. As in so many herbal traditions from around the world the early New Mexicans utilized smell, taste, touch, visual characteristics, and yes, even sound quality to connect with their environment. What has been passed down to us we now call "organoleptic" testing in Western herbalism related to the 5 physical senses. And let's not forget our sense of connection energetically with Nature, utilizing intuition and other nonphysical gifts that we have to "know" what is in our environment. Our pursuit as herbalists is a necessary one for survival of our species, but also a spiritual one, just as essential in helping to bring all things into balance, into a state of health and integration. What we bring from the plant world to our fellow humans contains pure energy, and is transformed by our alchemical knowledge into well being, relieving suffering yet giving us a richer understanding of what is harmonious living. So taste our native herbs this Autumn. 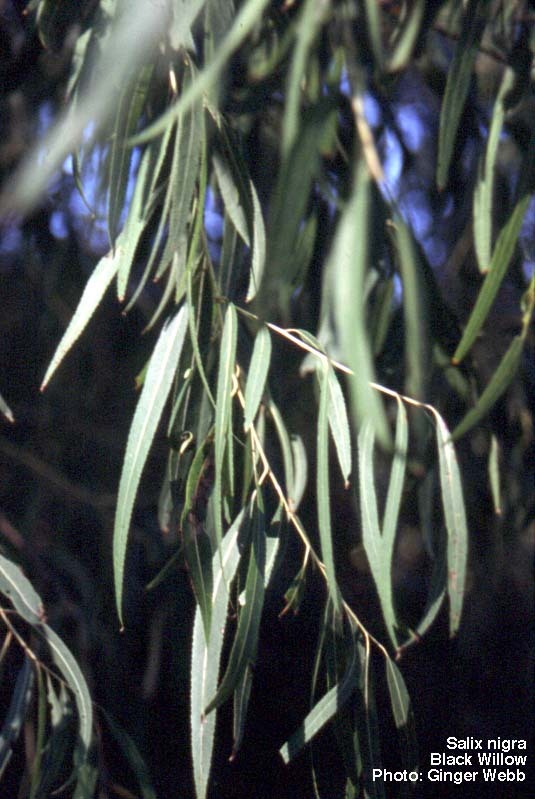 Just this morning I stepped out into the Santa Fe River and was pleasantly greeted by the sweet smell of willow, it saturated the air as I gathered the youngest of twigs and branches for use as a pain relieving bath tea. This is one of our many gifts from all our relations to keep us in a state of awe, respect, and harmony. Hierba mansa root, Osha root, Pinon pine needles, Willow bark, Juniper berries and leaves. We have continued to harvest good medicine from our sacred mountains through October including Spikenard root (Aralia racemosa), False Solomon's Seal (Stellaria media), Mullein flowers (Verbascum thapsis), and Oregon grape root (Mahonia repens). All of these are in process using stnadard accepted maceration formulas and will be made into herbal medicinal formulas. Thanks to our herb school graduates and Milagro associates Jimmy Manello and Chaney Cranfill for the hands-on assistance.